On Monday 1st February 2016, the Help to Buy: Equity Loan Scheme was amended for properties in the Greater London area. Those looking to buy a property within Greater London may now qualify for an equity loan of up to 40% subject to the approval. 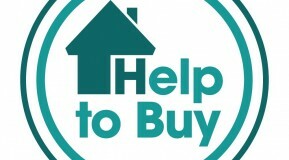 Help to Buy London is an extension of the equity loan scheme that has been available to buyers around the UK since April 2013 and from the beginning of February now offers double the amount of the loan, from 20% of a property’s purchase price to 40%. Although mortgage rates are still at record lows and lenders are still prepared to offer loans to first-time buyers, high house prices in Greater London are still making it difficult for first-time buyers to get onto the property ladder hence the Government’s increase in equity loan. The property however will still have to be lower than £600,000 to meet the rules of the scheme. If you’re interested in the Help to Buy Scheme, would like further information or you’d like to get some advice on mortgages please feel free to get in touch using the form below.